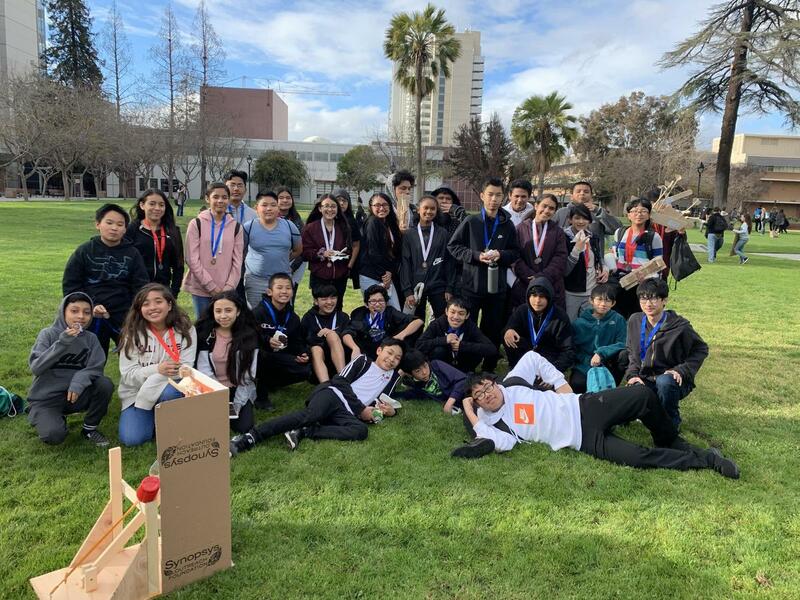 On Saturday,​ March 2nd, MESA students from Bridges Academy competed at San Jose State University against other MESA chapters in the San Jose area. Our students entered 5 out of the 6 competitions for 7/8th-grade students. We placed in every competition we competed in. Bridges students even swept 1st, 2nd, and 3rd place in three of the competitions. The four groups that were awarded 1st place will be going to the GOOGLE headquarters where they will compete at the regional competition on April 13th. Bridges News Team will keep you posted with updates of the regional competition on April 13th. Thanks to Mrs. Vu and the staff and students at Bridges Academy for the opportunities and successes with the MESA competition.